We had a smaller crowd this week due to the beautiful Spring weather. 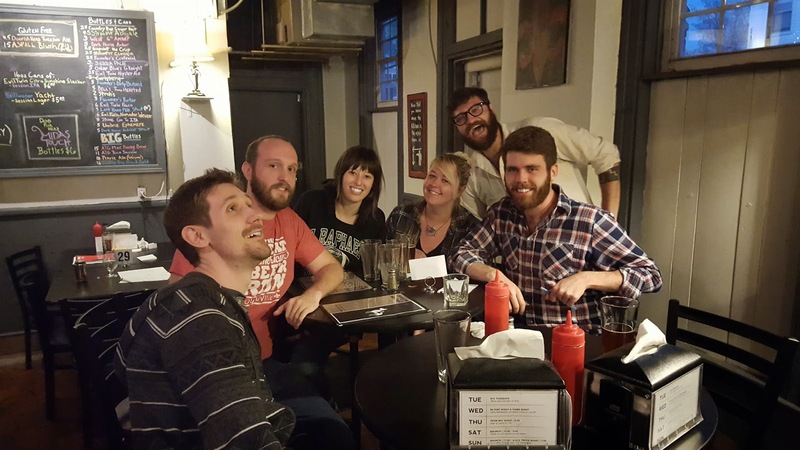 When the final decision came down on whether to continue with the game or not, Four Pegs decided it was a go to reward the dedicated teams who were there to have a great time with another great round of trivia. With a smaller crowd even the bartenders were able to become part of the fun. We had a pretty close game with the final score only separating 1st and 2nd place by just a few points. After everything was settled our winner was Laissez Bear. Laissez has been a staple at Four Pegs for awhile now always adding a twist to their Bear name. It was a hard fought win and well deserved. Congratulations, Lassiez Bear!